A Classic concert featuring 25 songs. 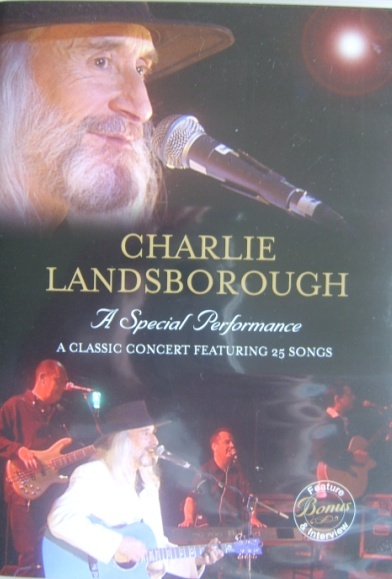 Released just two months after his most recent album, HEART & SOUL, and filmed in his native North West, A SPECIAL PERFORMANCE features 8 brand new compositions and encapsulates the true spirituality that defines a Charlie Landsborough live experience. 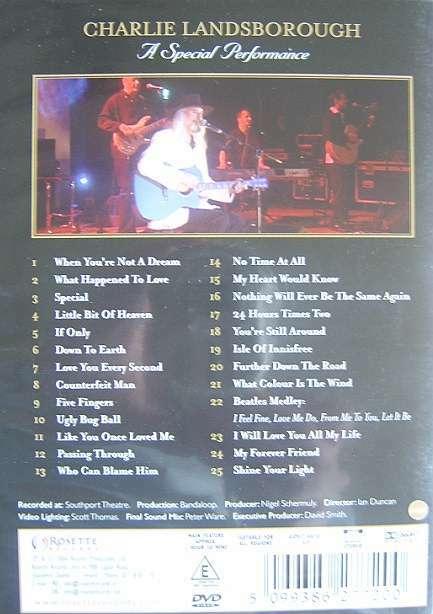 Tracklisting: 'When You're Not A Dream', 'What Happened To Love', 'Special', 'Little Bit Of Heaven', 'If Only', 'Down To Earth', 'Love You Every Second', 'Counterfeit Man', 'Five Fingers', 'Ugly Bug Ball', 'Like You Once Loved Me', 'Passing Through', 'Who Can Blame Him', 'No Time At All', My Heart Would Know', 'Nothing Will Never Be The Same Again', '24 Hours Times Two', 'You're Still Around', 'Isle Of Innisfree', 'Further Down The Road', 'What Colour Is The Wind', 'Beatles Medley: I Feel Fine, Love Me Do, From Me To You, Let It Be', 'I Will Love You All My Life', 'My Forever Friend' and 'Shine Your Light/I Saw The Light'.